Welcome to the Scott Middle School website! I am humbled and honored to serve the Scott community as principal. We have a wonderful staff that cares deeply about our students and is committed to academic achievement and the success of our students in everyday life. Our school mission, Scholarship, Commitment, Opportunity, Teamwork, and Tradition, guides our staff in the work we do to provide a safe, inclusive quality-learning environment to all of our students every day! 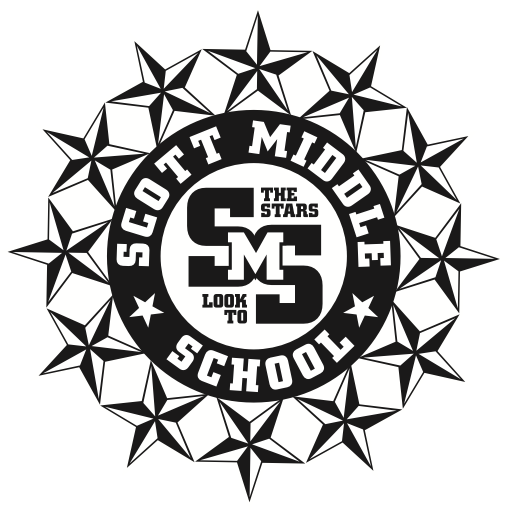 Scott Middle School serves students in grades 6-8. Our school is collaborative in nature to ensure the success of all students and to reach or exceed all district learning goals. 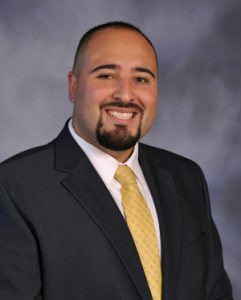 Furthermore, each grade level has a counselor who works closely with students, their families, and teachers. 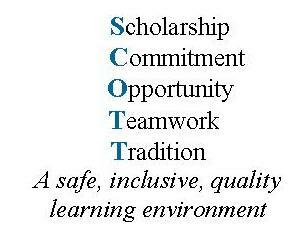 At Scott, our priority is student learning. To ensure student success at school, our staff uses Multi-Tiered Systems of Support (MTSS). These systems of support are in the form of Positive Behavior Intervention and Support (PBIS) and Behavior Intervention and Support (BIST). We look forward to helping students meet their full potential as students in the classroom and as life-long learners. Our goal is to provide students with rigorous academic curriculum, a safe and positive learning environment, and a school where all students feel welcome and have a strong connection to the school community. We take great pride in focusing on our student’s strength and individual differences by honoring diversity and celebrating achievements. We also encourage our students to be leaders and to become involved with music, intramural sports, clubs, and activities at school, as we know learning occurs in all of these settings. Our families are important to us at Scott Middle School. We believe collaborating with parents/guardians is an essential piece in the success of all students. Please stay involved with us as your child goes through their middle school years. We look forward to working with you throughout the course of the entire school year! Welcome 2019–2020 Scott Families! Get great information for next year with our Parent Orientation slides.